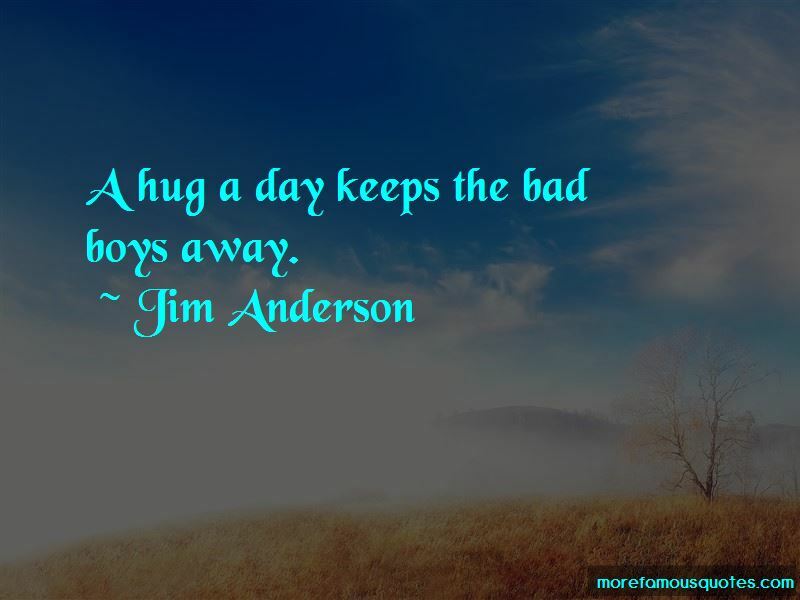 Enjoy the top 5 famous quotes, sayings and quotations by Jim Anderson. The world is full of men who want to be right, when actually the secret of a man's strength and his pathway to true honor is his ability to admit fault when he has failed. 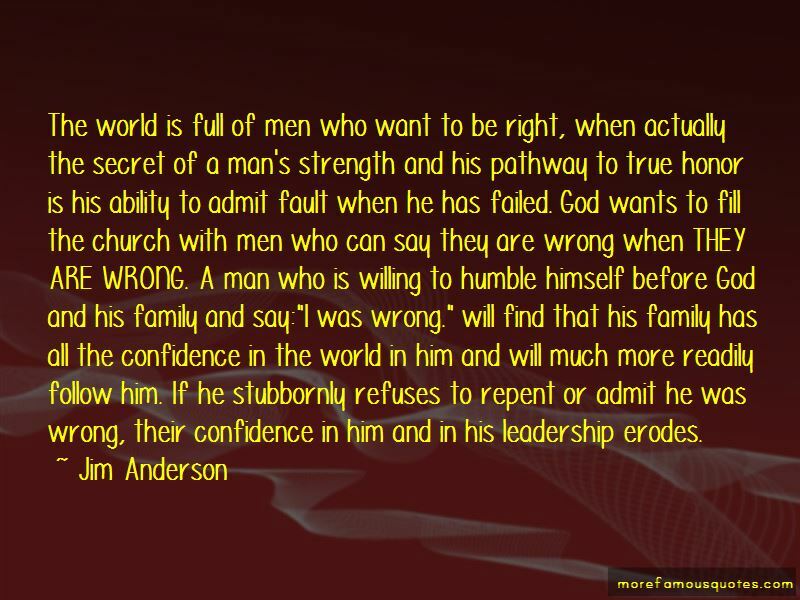 God wants to fill the church with men who can say they are wrong when THEY ARE WRONG. A man who is willing to humble himself before God and his family and say:"I was wrong." will find that his family has all the confidence in the world in him and will much more readily follow him. If he stubbornly refuses to repent or admit he was wrong, their confidence in him and in his leadership erodes. If you want to fight hell and the power of darkness that seek to destroy the hearts of our daughters, I know a type of spiritual warfare that creates value in a daughter's spirit. 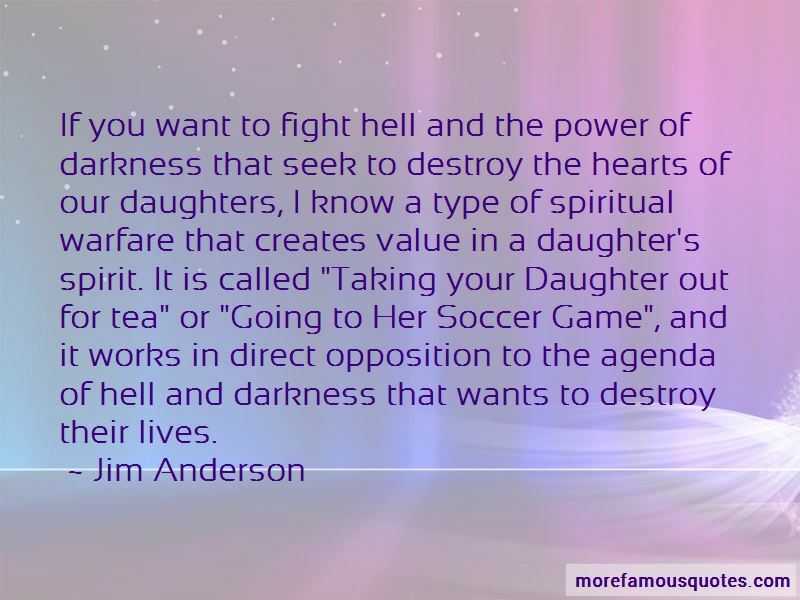 It is called "Taking your Daughter out for tea" or "Going to Her Soccer Game", and it works in direct opposition to the agenda of hell and darkness that wants to destroy their lives. Want to see more pictures of Jim Anderson quotes? Click on image of Jim Anderson quotes to view full size.